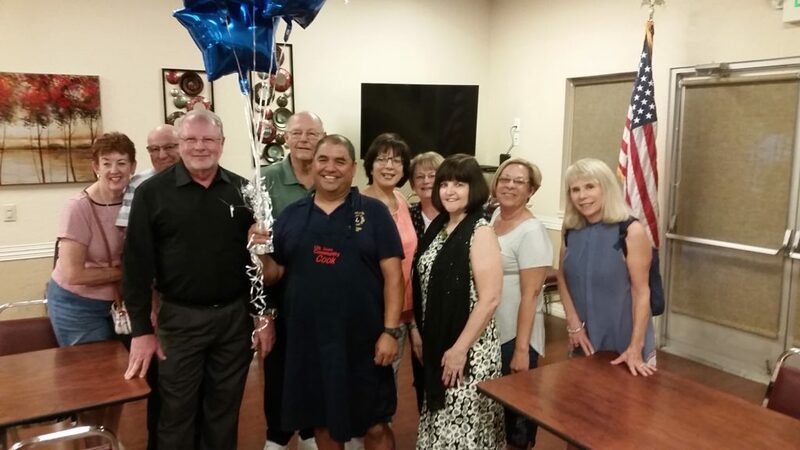 For 2017-2018, the committee has selected another Elk Grove Lion to be honored as the citizen of the year at the awards banquet in November. Please join us in congratulating Lion Pancho Sanchez and the Elk Grove Citizen of the year. Surprise notification to Lion Pancho Sanchez by the Citizen of the Year Committee. (L-R) Marie Coleman, Joe Tallerico, John Shook, Warren Weaver, Pancho Sanchez, April Cooke, Pat Weaver, Tracey Edwards, Paula Maita, Nancy Lucia. If you would like to honor someone in the future, you can make a nomination by completing an application and including a signed letter containing information on club and service organization involvement, past accomplishments in the community, and all accomplishments significant to the community. If you can attach several letters of support for your nominee, that would improve the person or couple’s chances of being recognized. The selection committee works directly with our Elk Grove Chamber of Commerce. You may also fax it to 916-691-3810. Please contact the Chamber of Commerce at 916-691-3760 with any questions.